We know talking about sunscreen isn’t always hot stuff. But believe it or not, sun safety is not just about the old ‘slip, slop, slap’. Guidelines around how to apply sunscreen actually vary between different skin tones – and the consequence of breaking these rules could be deadly. Plus, skin complexion can actually play a big part in how sunscreen works on a person’s skin. It can even impact the availability of effective sun care products in store. What’s up with that? From SPF level to skin type and ingredients, we know the task of buying a new sunscreen can make everyone sweat. To help you understand what might be right for you, we’ve listed a few characteristics of different types of skin tones and suggested a couple of products to match. But don’t let the heat get to you and remember to compare a wide selection of sun protection products online and in stores. And be sure to ask your doctor for guidance if you’re not sure what to do. Develops freckles when exposed to the sun. If this is you, products containing SPF 50+ will be your best friends. Fair skin can sometimes achieve a very slight natural tan from a summer day out. But the most colour you’re likely to get will probably be from the many freckles bound to show up after spending time in the sun. Freckles can appear on all different skin tones. But the risk of skin cancer is apparently higher on someone with fair skin and freckles, compared to a freckle-free person with a similarly light skin tone. 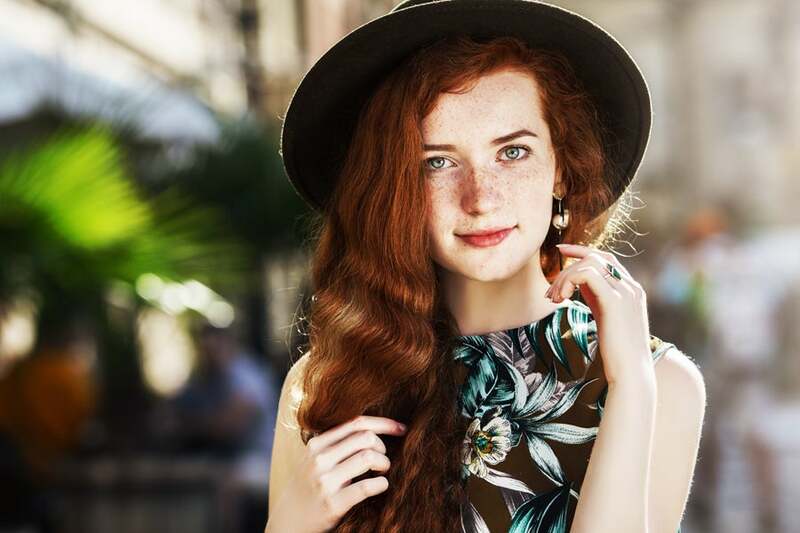 Regardless, people with freckles are recommended to apply broad-spectrum UVA and UVB sunscreen containing at least SPF 30. Unless you’re a person with fair skin, then products containing SPF 50+ might be your best bet. When it comes to being sun smart, the Cancer Council shines bright. Australian-made products like the Cancer Council’s ‘Sensitive Tube’ are said to use broad spectrum UVA and provide UVB protection. This particular SPF 50+ formula is similarly stated to be paraben and fragrance free, and suitable for sensitive skin. The Council also says it contains Aloe Vera and vitamin E to moisturise the skin, which is especially helpful as the sun tends to be very drying. The sun care price range is pretty wallet-friendly, with products costing from $4.95 up to $29.95 for larger family-sized pump options. Let’s start by saying, there’s ‘beach hair’ and then there’s sun damaged hair. And you might not always know when you’re donning the latter. Sunscreen for your long (or short) locks might seem a bit over the top. But hair isn’t just a makeshift hat you can use to protect your head from the sun, and a bald head certainly isn’t the only hairstyle susceptible to a burning hot hairdo. While hair can’t get sunburnt per se, a fun cocktail of Aussie sun, heat, and saltwater can actually cause problems to your scalp and the hair itself. A few hairy upsets can include breakage, split ends, and colour dullness. There are a few sun hair care products designed to shield against not just hair straighteners or hot rollers, but UV damage and breakage. Some of these include the Bumble and Bumble Bb. Hairdresser’s Invisible Oil Heat/UV Protective Primer. The spray is claimed to contain light oils to apparently protect against breakage, heat-styling and UV damage. It’s also said to soften and detangle hair, remove frizz, and help making styling more manageable. People who easily tan might not always feel the burn after bathing in the sun. This is usually the case if you have an olive or Mediterranean complexion, as well as those with darker skin tones. But while your skin might not cook lobster red, it’s been claimed that a tan is still sunburn because a change in skin colour is what happens when exposure to the sun’s harmful UV radiation causes DNA damage. People prone to a tan, rather than redness or peeling, are often seen as being part of the ‘lucky’ few who rarely have to deal with the pesky problems of sunburn. But is that true? Having more melanin in your skin does mean you’re not as likely to get burned as someone with fair skin, but having darker skin is certainly not the same as applying ‘once a day sunscreen’. If this seems like you, your sunscreen should generally be at least SPF 30. But if you’re going to be spending longer periods in the sun, it’s recommended you use formulas containing SPF 50+. 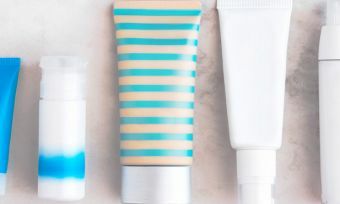 With sun care just as important to daily our skin routines as foundation or cleanser (more so, actually), it’s no surprise that one of the world’s leading beauty brands provides a few sunscreen products on its shelves. Clinique SPF 30 Virtu-Oil Body Mist is one of the company’s latest additions to its sun protection range. The 144ml oil-free spray is designed to quickly absorb on the skin and give high level of UVA/UVB protection. It is also said to have a pleasant cooling sensation when applied, as well as avoid leaving a sticky or greasy after feel. This product is claimed to be suitable on all skin types. But if you’re not a fan of the spray application, the Clinique Sun Body Cream SPF30+ is a similar oil-free alternative. The 150ml product is available for the same price and apparently suitable for sensitive skin types. 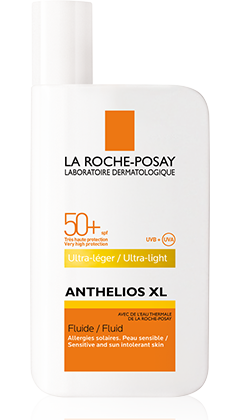 If you have a normal to combination skin type, La Roche-Posay’s Anthelios XL Anti-Shine Dry Touch SPF 50+ is a sunscreen apparently targeted towards ‘sensitive skin prone to sun intolerance’. The product is said to provide a lightweight and apparently invisible formula that shields against the effects UVA and UVB rays, avoids sun-induced pigmentation, and prevents premature skin ageing and long-term skin cell damage. If you have oily skin, the La Roche-Posay Anthelios XL Anti-Shine Dry Touch SPF 50+ may be an ideal alternative. The La Roche-Posay ULTRA Cream SPF 50+ is a similarly suitable match for dry skin types. Also, while this sunscreen is listed as a hot pick for easy-to-tan skin tones, it’s similarly a sun smart solution for fair and pale complexions. People of colour aren’t strangers to feeling disappointment and frustration after attempting to buy the best sunscreen. This is partly due to an apparent gap in the market leaving many people of colour prone to the effects of skin damage. The issue seems especially problematic in Australia, with many products in places like the United States and the United Kingdom often unavailable down under. Some global brands also tend to use lower SPF ratings on products sold in Australia. For example, the Aussie equivalent of the Murad City Skin Age Defense Broad Spectrum SPF 50 is currently the Murad City Skin Age Defense Broad Spectrum SPF15. 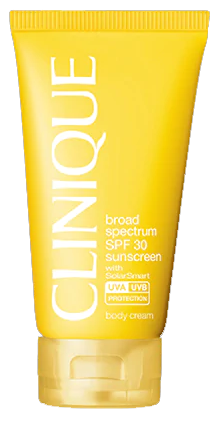 Beauty giant Clinique similarly offers Australians the Clinique Sun Body Cream SPF30+, a product resembling the Clinique Broad Spectrum SPF 50 Sunscreen Body Cream in the US. Products also tend to leave an ashy cast and might not actually moisturise the skin as effectively as it would on lighter skin tones. Although a variety of beauty and skincare companies are starting to close the gap by looking at the effects of different ingredients in various skin tones. If you have a darker skin tone, SPF 15 may be enough protection for a short period in the sun. Otherwise, a product with at least SPF 30 is said to be suitable for longer periods. We all love having a summer glow, but sometimes we can shine a little too much. The apparently lightweight formula and matte finish of the Neutrogena Ultra Sheer Face SPF Sunscreen Liquid Lotion might help manage the usual greasy feel and look, but still give the high-level protection you might expect from an SPF 50 sunscreen. The Neutrogena Ultra Sheer Face & Body Lotion is also said to be paraben-free and won’t clog pores. Skincare company Murad, a popular beauty pick among celebrities, has brought one of its best-selling items to Australia. The Murad City Skin Age Defense Broad Spectrum SPF15 is a mineral sunscreen said to have an ultra-light formula, which uses what the brand terms ‘environmental protection technology’ in order to protect the skin from five major causes of skin damage that apparently speed up visible signs of aging. Such causes include UVA, UVB, pollution, infrared radiation and blue light from devices. The brand claims the Murad sunscreen is made without chemicals like parabens, sulfates and phthalates. You can buy the Murad City Skin Age Defense Broad Spectrum SP15 through the Australian Murad website, or stockists like Sephora. Murad also has a few salon and spas located in Victoria, New South Wales, Western Australia, Northern Territory and the Australian Capital Territory, if you’re interested! If you’re someone with a darker skin tone and need a sunscreen suitable for sensitive skin types, the Clinique Sun Body SPF30+ is marketed as a gentle oil-free dermatologically tested product designed to repair UVA and UVB damage as well as prevent signs of aging. It is also stated to provide an antioxidant boost while protecting the skin from harmful environmental factors. Does sunscreen work the same on everyone? Not all sunscreen products are created equal, especially when it comes to people of colour. Sunscreen often appears ashy on highly pigmented skin, resulting in white, blue, purple or green masks on the skin. Some people believe these effects, along with misconceptions about dark skin not requiring as vigilant sun protection, have been big reasons as to why people might delay going to the doctor or take proper care. It’s also why many people with darker skin prefer chemical sunscreen to physical sunscreen. Physical sunscreen products are said to contain white compounds like zinc oxide and titanium oxide as these are insoluble in water and ensure the formula sits on the skin to act as a physical wall that reflects both UVA and UVB rays. But it’s these titanium-based products which leave the chalky white mark. Alternatively, chemical sunscreen is designed to absorb rays, rather than sit on the skin. So, why not just buy chemical sunscreen? Well, unlike physical sunscreen, not all chemical sunscreen products are designed to protect against both UVA and UVB rays. Life can be a beach sometimes. But remember to stay sun safe to avoid getting burned.